Over a decade of research, Deep Carbon Observatory scientists are transforming our understanding of carbon in Earth across a wide range of disciplines. In the process, they are generating an enormous number of lectures, short courses, videos, infographics, visualizations, and datasets that lend themselves to higher level undergraduate to graduate-level teaching. These resources lay out the theory and underpinning data behind many of the striking discoveries being made by DCO researchers, explain how novel DCO instrumentation works, and describe large scale and ambitious field campaigns both on land and under the sea. The large collection of datasets and user-friendly web tools and apps allow manipulation, sharing, and visualization of data. All of these tools can be downloaded for use in the classroom setting. 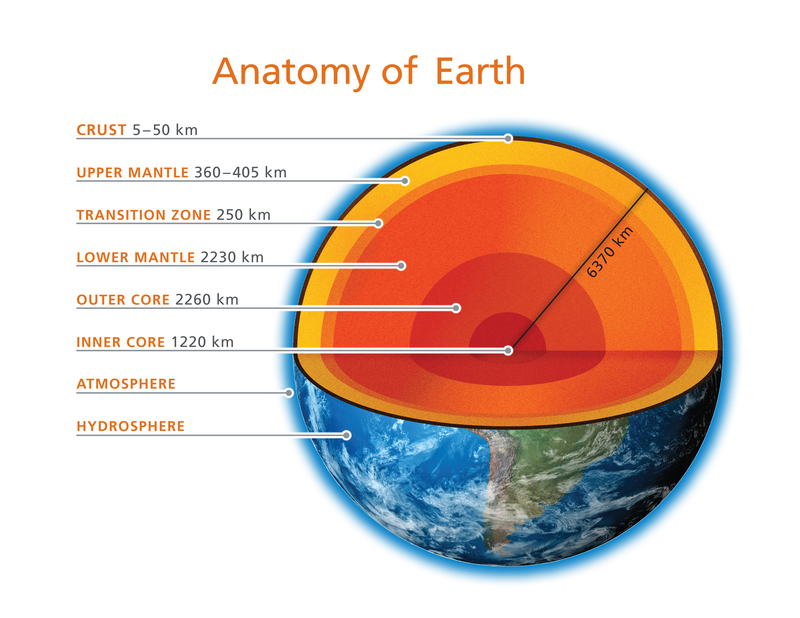 Feel free to use them so you can integrate what is being learned about deep carbon science and expand understanding of how Earth works into your curriculum. Dr. Shaunna Morrison of the Carnegie Institution for Science, USA, and Visiting Researcher Ahmed Eleish at Carnegie explain how to turn large data sets into dynamic visualizations that show network connections. Dr. Mark Ghiorso of OFM Research, USA, demonstrates how tools on ENKI (Enabling Knowledge Integration a web-based modeling platform) can be used to model deep Earth fluids, chemical reactions, and transport. Feifei Pan, a PhD candidate at Rennselear Polytechnic Institute, USA, demonstrates how to use Jupyter Notebooks as a visualization tool using data compiled by the Global Volcanism Program. Dr. Kerstin Lehnert of the Lamont-Doherty Earth Observatory at Columbia University, USA shares the process of sample registration. Modeling and visualization expert Dr. Louise Kellogg, University of California Davis, USA, presents a blueprint and virtual “construction manual” for integrating different types of data into a box model. Wiki Education’s Samantha Weald discusses content gaps on Wikipedia, and encourages attendees to help close these gaps and make information more accessible and comprehensible to the public. Dr. Karen Lloyd, University of Tennessee, Knoxville, USA, lectures her class from a site in Costa Rica. Part 1. Watch. Dr. Karen Lloyd, University of Tennessee, Knoxville, USA, lectures her class from a site in Costa Rica. Part 2. Watch. Dr. Robert Hazen, Carnegie Institution of Science, USA, provides insights into four unanswered questions in deep carbon research. Watch on YouTube. 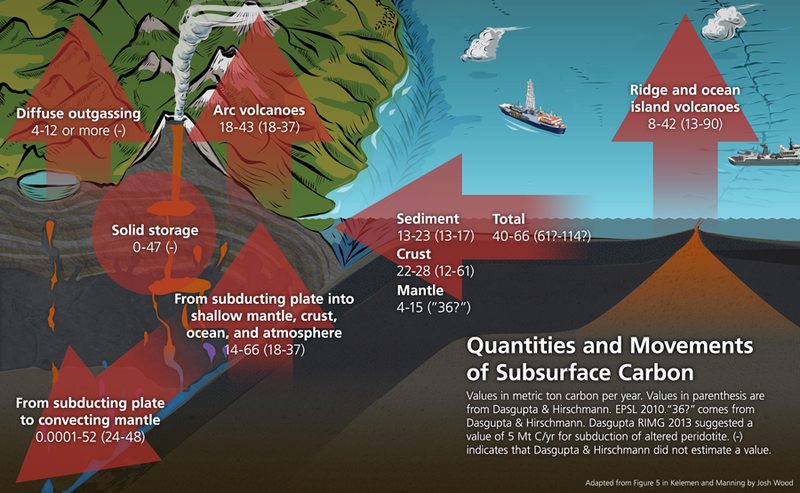 Dr. Rick Colwell, Oregon State University, USA, reviews what is known and unknown about deep life as it relates to the deep carbon cycle. View. Dr. Robert Hazen, Carnegie Institution of Science, USA, lectures on the quest for life's origins. View. Dr. Katie Pratt, University of Rhode Island Graduate School of Oceanography, USA, shares her insights on how to translate science to public audiences in Storytelling and Media: An introduction to Science Communication. View. Visit this page for more presentations about the Deep Carbon Observatory and its research. Dr. Fabrizio Nestola, University of Padua, Italy, demonstrates X-Ray Diffraction, an instrument used in new research about how large diamonds form deep in Earth's mantle. Time-lapse video of the the installation of the Nu Instruments Panorama Mass Spectrometer at the University of California Los Angeles, 20-25 March 2015. Drs. Ding Pan and Giulia Galli, both of the University of Chicago, USA, explain an anomaly they discovered about carbon’s response to pressure and temperature that could affect how much carbon is, and what form it takes, inside Earth. Dr. Robert Hazen, Carnegie Institution of Science, USA, discusses how big data is providing insights into mineral evolution, mineral ecology, and mineral network analysis. Filmmaker Michael Starobin dives deep into Earth's deep biosphere to explain life beneath the Earth’s crust. Earthquakes, Eruptions, & Emissions or "E3" is an app that allows viewers to see 50 years of Earth's active geological history. This is a series of videos developed by the EarthByte Group of the School of Geosciences, University of Sydney, Australia. The videos show spatio-temporal modeling of deep time atmospheric carbon flux from subduction zone interactions. The visualizations use open-source community frameworks to communicate mantle-crust-atmosphere interactions in the deep carbon cycle. View the following reconstructions on YouTube. Reconstruction of tectonic plates and oceanic age-area distribution from 230 Ma to present day using the Müller et al. (2016) plate model. Watch. Tectonic reconstruction of active reefal and carbonate platform development from 410 Ma to present day using the Matthews et al. (2016) plate model. Watch. Reconstruction of tectonic plates and oceanic upper crustal CO2-content from 230 Ma to present day using the Müller et al. (2016) plate model. Watch. Tectonic reconstruction of the accumulative deposition of reefal and carbonate platforms from 410 Ma to present day using the Matthews et al. (in prep) plate model. Watch. Reconstruction of tectonic plates and seafloor sediment thickness from 230 Ma to present day using the Müller et al. (2016) plate model. Watch. The Movement of Diamonds in Earth. Quantities and Movements of Carbon in Earth. 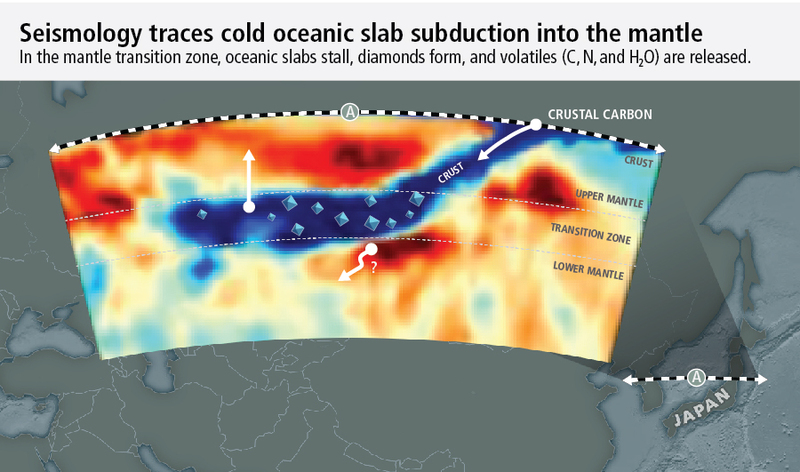 Virtual Plate Tectonic Deep Carbon Laboratory This is a script-based toolkit to extract global data from plate models such as global subduction zone lengths and ocean crust CO2 content created by a team led by Dr. Dietmar Muller (University of Sydney, AU). Project blog. Datasets for use. Learn more. MELTS and DEW modeling experts Mark Ghiorso (OFM Research, USA) and Dimitri Sverjensky (Johns Hopkins University, USA) are working to integrate existing thermodynamic models of magmas (MELTS) and fluids (DEW) to form a framework allowing researchers to model the mass transfer and transport of carbon and other chemical elements within Earth. Short course presentations are available to learn how to use this first integrated thermodynamic model of the magma-fluid system to predict how carbon moves between solid, liquid, and fluid phases in response to temperature and pressure. Learn more. Modeling and Visualization Resources The Deep Carbon Observatory is creating new computational tools to probe and visualize carbon transport from the interior to the atmosphere of our planet and back again. Through an online open access platform created by a team led by Dr. Louise Kellogg (University of California Davis, USA), deep carbon researchers, and other interested scientists have access to the latest modeling tools for visualizing and sharing their scientific results. Learn more. "Carbon forms: paths and process in the Earth,"
Header photo: sample collection in Costa Rica for the Biology Meets Subduction project. Photo Katie Pratt.